النظام يعمل به عمالقة سيرفرات العالم الاجنبى..
PPP profiles are used to define default values for user access records stored under /ppp secret submenu. 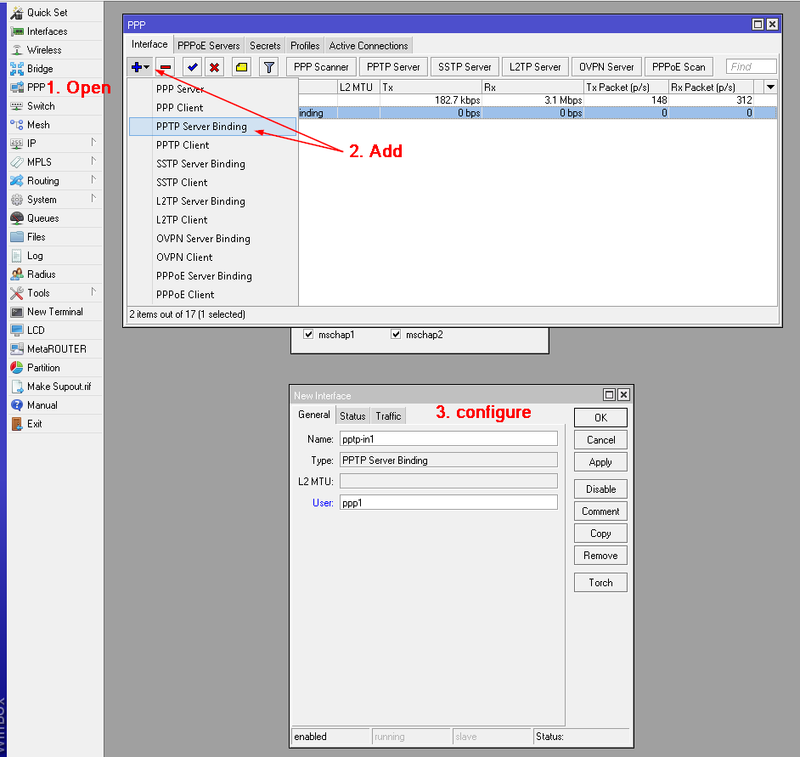 Settings in /ppp secret User Database override corresponding /ppp profile settings except that single IP addresses always take precedence over IP pools when specified as local-address or remote-address parameters. 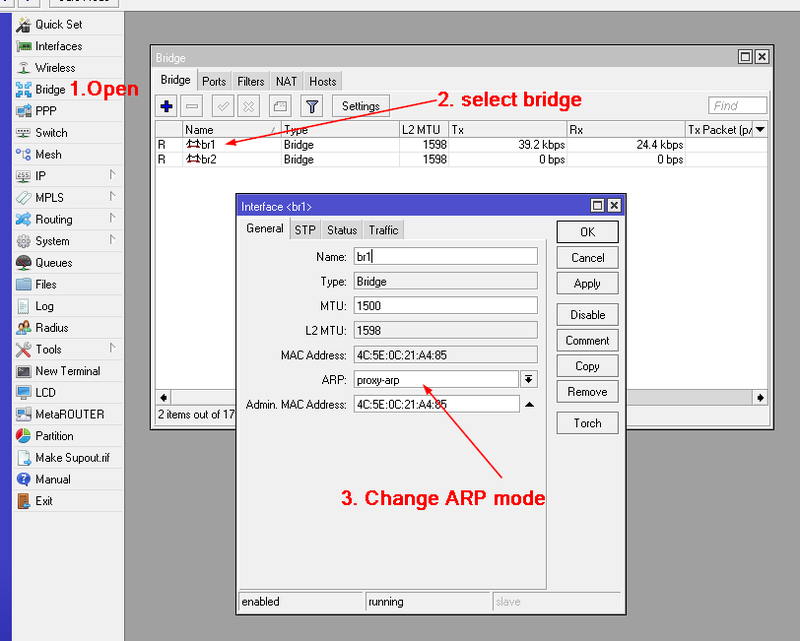 This step is optional, because your VPN server will work even if you skip this. 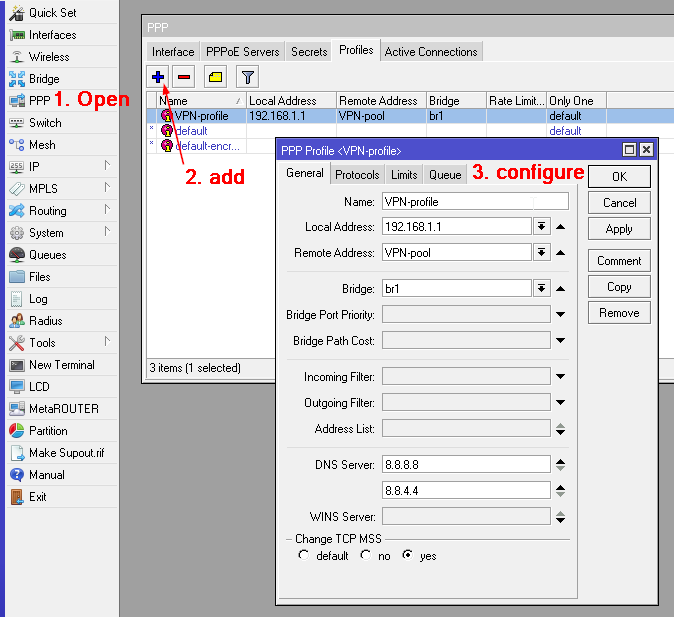 In this step you bind user ppp1 to interface pptp-in1. This is very useful if you need to create firewall rules for a specific user. 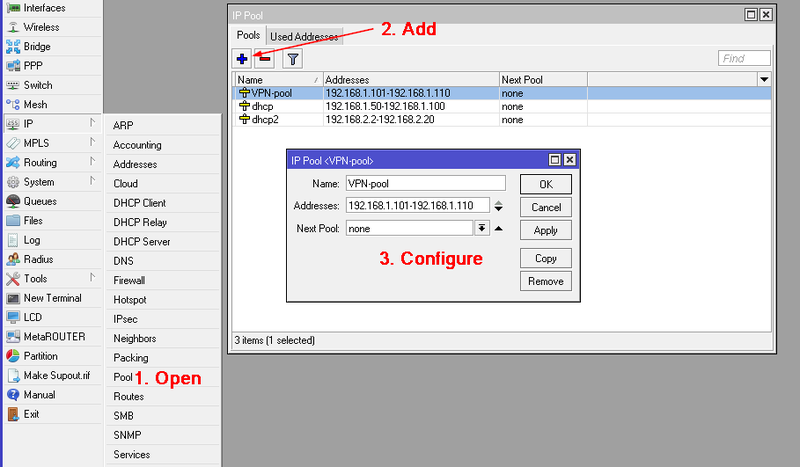 If you skip this step, you will be able to connect to your VPN server, you will have the same public IP as your VPN server, but you will not see any other devices connected on this subnet. If this is OK for you, you don’t need to do anything else. If you did all right, you now have a working PPTP VPN server.